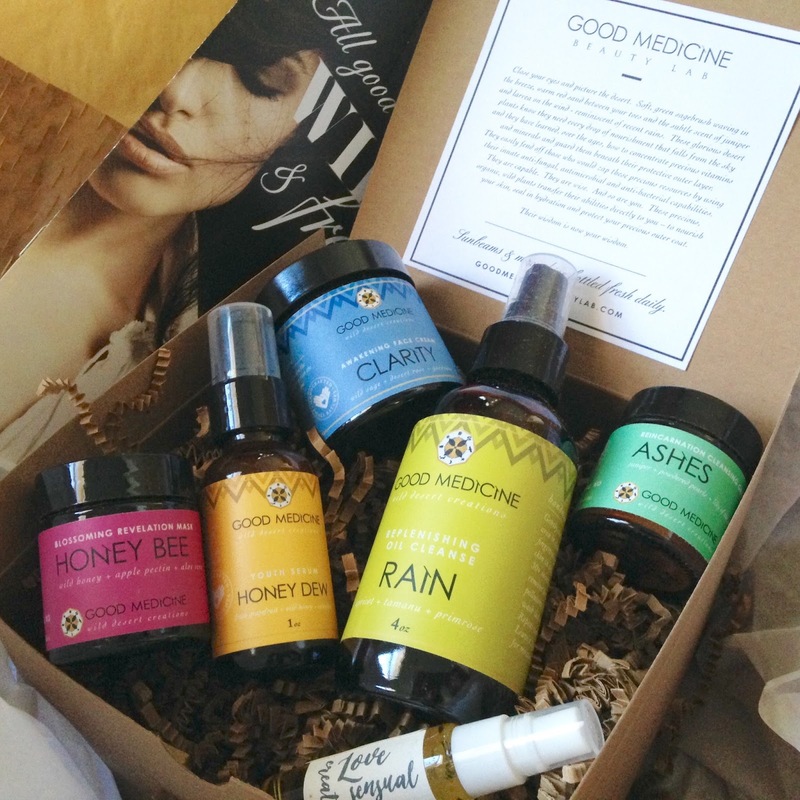 A while ago, Good Medicine Beauty Lab contacted me about trying their products. They offered to send me a fragrance and maybe some skincare. I was under no obligation to post about the products, although the company seemed to be confident in the fact that I'd enjoy the products enough to at least mention them. Obviously, my review is positive, since I am posting about my experience. For starters, the presentation was more than memorable. To be honest, I've been a tad burnt out from blogging and social media, even considering the possibility of "throwing in the towel." However, when I received this package, it reminded me how special this hobby can be (yes, I do this for a hobby; it is not a career by any means). 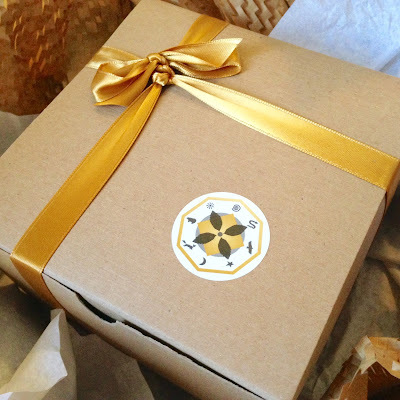 I just had to walk you step-by-step through the process of opening this meticulously wrapped gift. 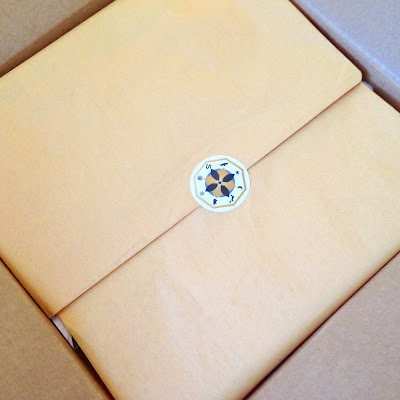 I already showed you the rich gold tissue paper with the logo seal. Once broken, it revealed a product information packet and a thank you (as if I needed a thank you; I should be thanking them. Thanks, btw). And beneath the literature, I found a box with a bow like a present. Can you see why I was feeling so special? I couldn't wait to see what was in the box. What did they send me? Okay, so you'll have to wait for one more photo to find out (I did, too). The suspense was killing me. Inside the box was more literature, some fun packing shreds and these lovely paper feather cutouts (seriously, they thought of every detail). To my surprise, within the paper packing shreds was all you see here. The wait was more than worth it. I thought for sure it would only be a couple or possibly a few products, but I ended up receiving 6 products to try. I almost did an unboxing post for you at the time it arrived. Then again, I wanted to make sure I liked the products before I got your hopes up to high (I know I had some pretty high expectations at this point). Now that I've been using these for a couple weeks, it's safe to say that they deserve this post. For my vegan readers, I'll give you a heads up that some of these products are "beegan," and a couple of the products are vegetarian (I forgot to mention my preferences before these were sent). 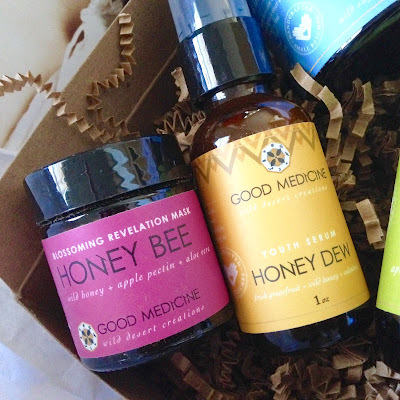 I thoroughly tested the vegan and beegan products, while my hubby tackled the other two. 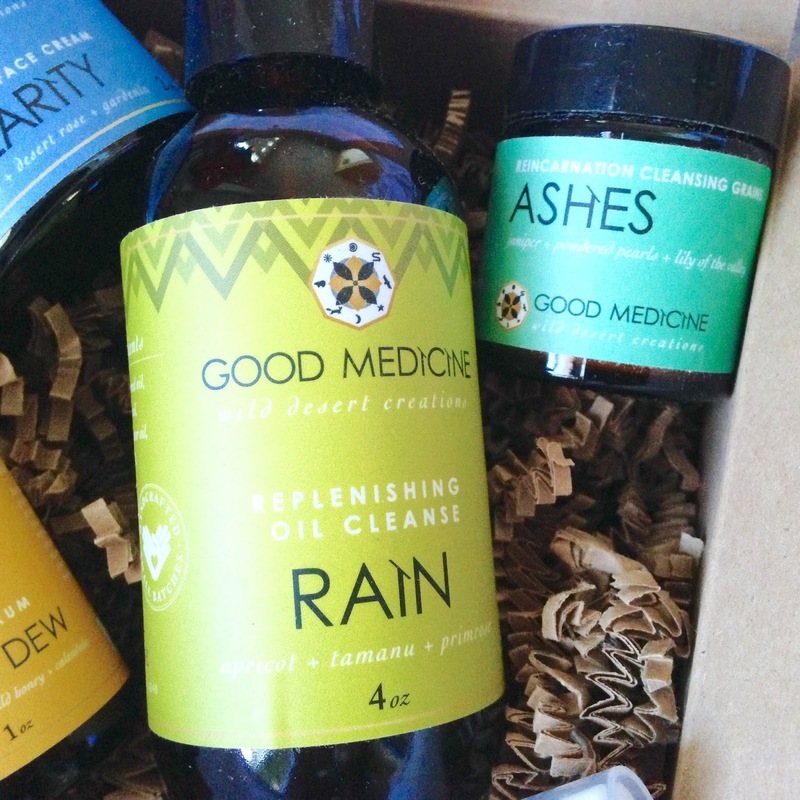 You know I love a cleansing oil, so Rain was perfect for me. 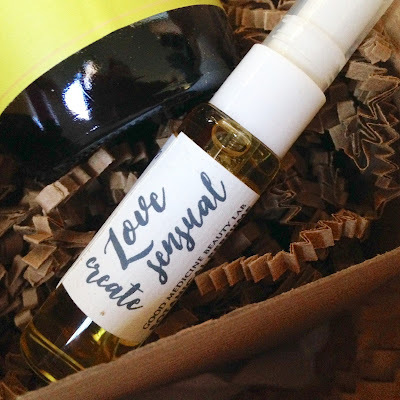 It's a combination of sweet almond oil, apricot kernel oil, rose hip oil, argan oil, jojoba oil, aloe vera oil, primrose oil, castor oil, tamanu oil, vitamin E T-50, and essential oils of carrot seed, rosemary, rosewood, rose geranium and rose. As with any cleansing oil, I applied it to my skin, massaged in a circular motion to remove dirt and makeup, and gently rinsed it away with a soft cloth. This does an excellent job of removing my makeup, and doesn't dry out my skin and/or irritate my eyes. In addition to the Rain cleanser, my hubby tried the Ashes Reincarnation Cleansing Grains, which contains potato, sodium bicarbonate, citric acid, 50+ trace sea mineral salts, organic cane sugar, organic milk and powdered pearls, and essential oils of juniper berry, pine needle, cedar wood, lime, vetiver, rose geranium and lily of the valley. Heads up about the milk and pearls for those of you who'd avoid them. My hubby first tested this scrub/cleanser out with the Rain cleanser, although it works well on its own. He was more successful when applying the products to dry skin to really take advantage of the scrubbing action. Otherwise, the product has a tendency to ball up like powdered milk (I actually experimented with washing my face with powdered milk in my teenage years), which makes sense because there is powdered milk in it. He did say that it left his skin soft and smooth (I can vouch for that). The next two products are beegan and probably my personal faves. 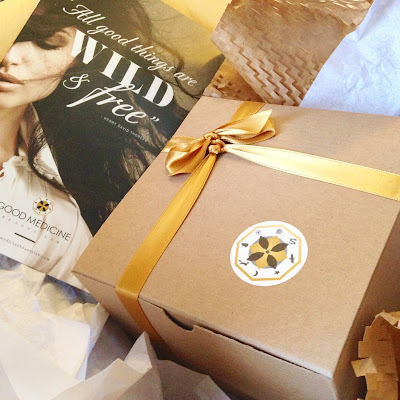 The Honey Bee Blossoming Revelation Mask smells like a yummy apple treat. It's made out of wild raw honey, organic aqueous tincture of wildcrafted desert sage, wildcrafted juniper berry, wildcrafted larrea, organic dandelion, organic alfalfa, and pure extracts of organic limes, organic aloe vera, glycerin, organic apple cider vinegar, citric acid, apple pectin and polyaminopropyl biguanide. Essential oils include frankincense, myrrh and amber. This mask is a little sticky from the honey, so I'd advise wearing your hair up when using it. Also, the consistency stays the same while it's on your skin, which makes it hard to tell when to remove it. The instructions recommend 2 minutes, but I got a little crazy and left it on for closer to 15 min. I splashed it off with some water and applied the Honey Dew Youth Serum. Together, these products make my skin glow, in a good way. The Honey Dew Youth Serum is like your toner/serum in one. It's quite refreshing, balancing and hydrating. It contains purified water, freshly juiced organic grapefruit juice, organic cucumber, organic potato and organic lime, organic aloe vera, xanthan gum, organic olive oil, organic plant-based lecithin, raw honey, sodium benzoate, co2 extracted calendula, vitamin E T-50, and essential oils of juniper berry, frankincense, myrrh and amber. It helps to prep your skin prior to the moisturizer, but I've had success using it without a moisturizer on some days, as my skin is not that dry. 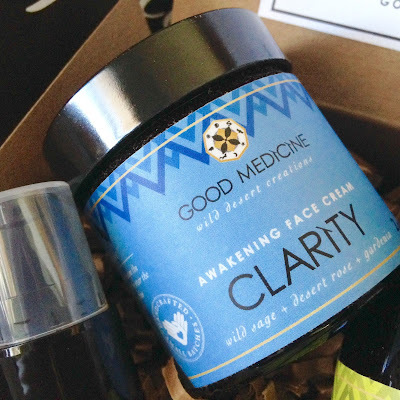 My hubby took the Clarity Awakening Face Cream for a test drive. Heads up to both vegans and beegans; this product seems to be vegetarian. It has organic aqueous tincture of wildcrafted desert sage, wildcrafted juniper berry, wildcrafted larrea, organic dandelion, organic alfalfa, organic olive oil, organic aloe vera, glyceryl stearate, cetearyl alcohol, sodium stearyl lactylate, rice powder, organic sugar cane, glycerin, organic cold-pressed coconut oil, organic co2 calendula extract, raw honey, lactobacillus ferment, ascorbic acid, rosemary extract, wasabi extract, vitamin E T-50, vitamin B, and essential oils of juniper berry, grapefruit, gardenia and red rose. All of these skincare products are great for both acne-prone and aging skin, so they are a win-win. As an extra plus, the scents are very calming and therapeutic. Speaking of scents, Good Medicine Beauty Lab also sent me their Medicine Woman Epoch Botanical Perfume in a ample trial size. According to the website, "Epoch is a scent designed to balance and raise your frequency ... A scent grounded in deep, earthly aromas while whispering soft elegant notes of sweet orange, tangerine and jasmine. It's a sensual musk that blooms with sweet indulgence." I don't really wear perfume, as I just rely on the scents from my bodycare and skincare. Therefore, I'm not very knowledgeable in this department. However, I can say that it reminds me of a more potent version of some of the scents found in the skincare. It has the same calming effect, yet somehow energizes me at the same time. I don't see me wearing this everyday, but it is nice every once and a while. All in all, I would recommend Good Medicine Beauty Lab. It's good for your mind and skin. It's very luxurious, too. 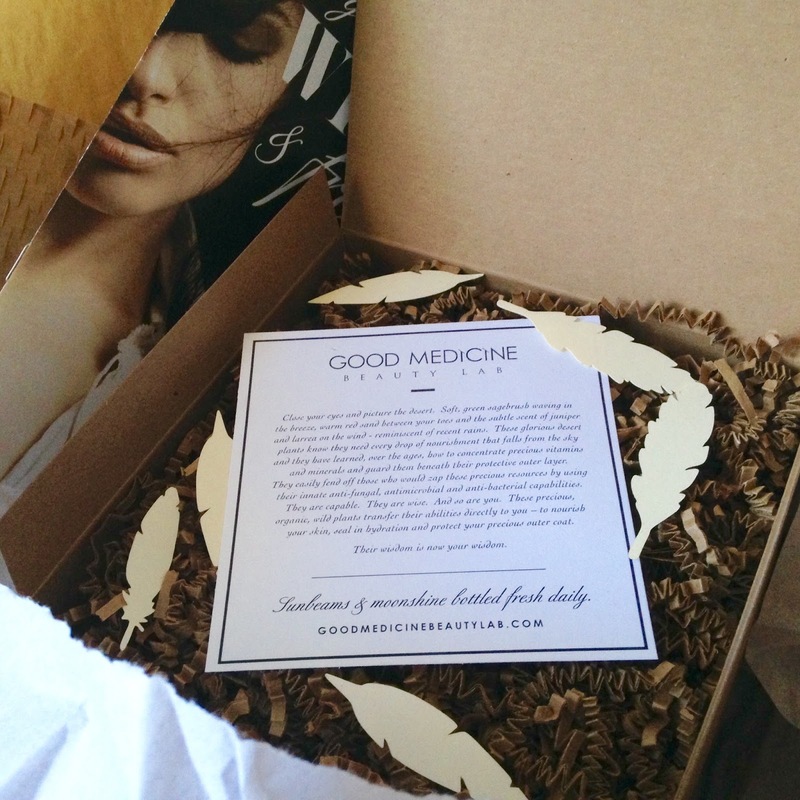 Have you tried Good Medicine Beauty Lab products? What are your thoughts? Let me know on Twitter at @Rawdorable and/or Instagram (also @Rawdorable). 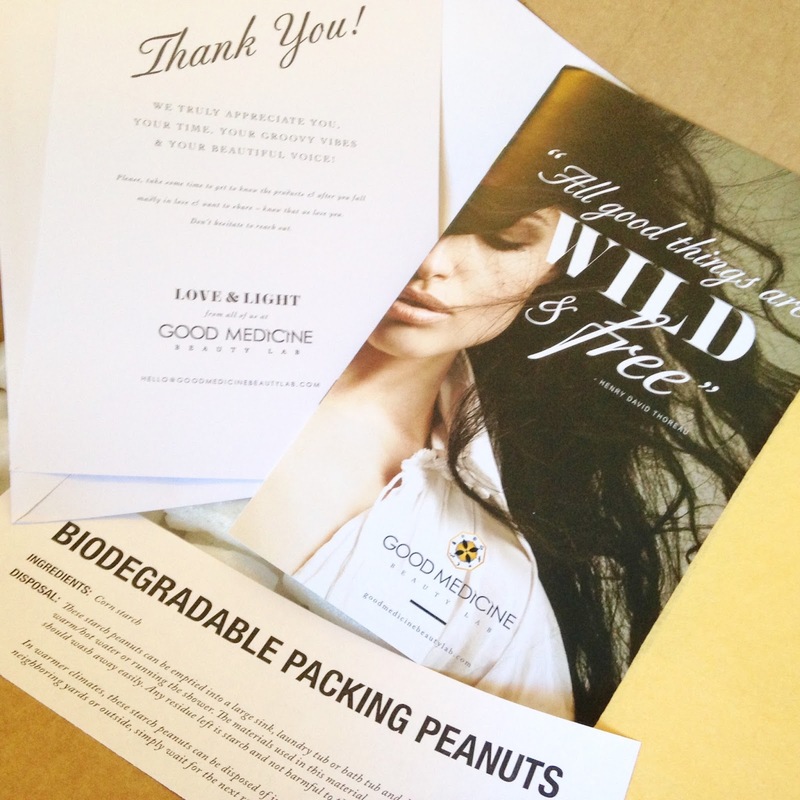 * Good Medicine Beauty Lab sent me these products. All opinions are my own (and my hubby's, too). Prim Botanicals is "prim, not proper"